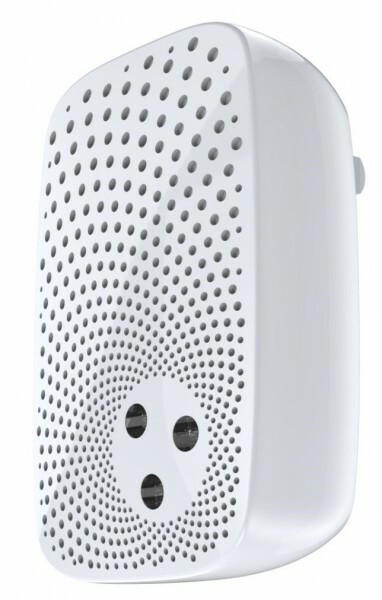 Product information "Aeotec Indoor Siren with Backup Battery"
The Aeotec indoor siren is an easy to install Z-Wave device which increases security in your home in no time. The siren will be plugged into an E27 socket and included into a Z-Wave network in few steps. This way, the siren will become part of your security system and can be activated by various alarm scenes such as burglary, fire and flood alarm. The compact indoor siren alarms with three-step adjustable loudness with up to 106 dB and red LEDs as additional optical signal. The modifiable loudness allows to use the siren also as a doorbell extension, e.g. to extend the bell signal for hard to reach areas. A special security feature is the integrated backup battery. With this battery the siren stays active, even in case of a power failure or when a burglar removes the siren from the power socket. Related links to "Aeotec Indoor Siren with Backup Battery"